Running a business can be challenging enough, and business owners often do not have the time to manage every aspect of their operation; making sure that their business complies with all the requirements and legal guidelines that it needs to. This is where an auditing service comes in. There are many reasons why an audit is important for a business. One of the biggest benefits is that they will generate important reports that are essential for the business as they verify the entity’s financial records and this is essential for businesses that want to apply for loans or tenders, or to gain new investors for their company. These reports might be a bit difficult to understand by someone without a financial background, allowing a professional auditing service to provide this essential information in simplified terms to business owners and shareholders so that the information is easy to analyse and to understand. An important aspect to consider is the fact that your business needs to comply with the Generally Accepted Accounting Practices (GAAP) and this can be verified by an auditor. If an auditor encounters any discrepancies or problem areas within a business, they can inform management and provide the best alternative to correct the problem or improve that particular area of the business. This is also known as a qualified opinion; the auditor can highlight any errors in a company’s financial statements or instances where the company does not conform to GAAP accounting standards. Validate financial statements for shareholders and management. An auditing service is very beneficial to have, especially when starting a new business. It is essential to ensure that your business complies with all the required guidelines and standards, and that your financial statements are accurate and verified. As a business owner you might need these statements to apply for loans, or to present as part of a business plan to present to potential shareholders. 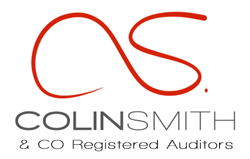 Colin Smith has been in business since 1979 and has a history of customer excellence. They specialize in audit, accounting, taxation, and business advisory services and work with clients across South Africa.